Are There Still Cinders in Cinder Block? Q. A couple of years ago I started re-reading my old ORGANIC GARDENING magazines from when you were the Editor (I kept them all! ), which led to me finding your podcasts and I've been listening ever since. Now I have a question: Are cinder blocks safe to use to make raised beds? My daughter would like to use them for this purpose but the information pro and con on the internet is confusing and unconvincing. 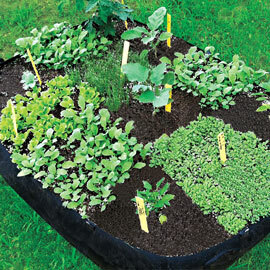 Is there really a risk of the substances used in making the blocks leaching into a raised bed? (In the Pacific Northwest we get a lot of precipitation, which can cause a lot of leaching). I told her that I would trust your opinion. Thank you for continuing to help keep our world safe. P.S. I was one of those subscribers who had to fight to get the issue with the infamous comic book cover away from my kids! A. If you're thinking, "did Mike really put a comic book cover on a gardening magazine?" the answer is yes. Back in 1992, I got my old friend Marvel Comics Editor and Publisher (and now movie star) Stan Lee to come speak to the entire Rodale staff and we did a tribute to the cover of Fantastic Four #1 in his honor. The response was crazy; we got write ups in a lot of national magazines. Now, about so-called 'cinder blocks'…. I say "so called" because "cinder block" is a somewhat archaic and generic term for a type of structural block that can be made out of many different things. Back when people burned coal to heat their homes and places like Bethlehem Steel had enormous coke ovens going 24/7 a lot of "cinders" were produced—a generic term for the ash left behind when coal or similar fuels are burned. As with wood stove ash today, a typical winter would leave a homeowner with several trashcans worth of cinders; and coal fired power plants and steel mills would produce tons of this waste every day. So it was used to make 'cinder blocks'. These were—and in some cases still are—the same shape and size as concrete blocks, but with industrial waste as the 'aggregate' instead of the sand or fine gravel used to make true concrete. (As we have previously explained, the difference between concrete and cement is that 'concrete' is the term for the final product created when filler material is held together with cement. So those big trucks with the constantly rotating cylinders are actually concrete trucks and not 'cement trucks'.) And even though true cinder blocks are in the minority today, somebody looking at a pile of what might more properly be called "masonry units" or "breeze blocks" is much more likely to call them cinder blocks than concrete blocks. And it's not just old blocks that might actually contain cinder; you can still find cinders in new blocks. As long as there are coal-fired power plants around, a company that makes concrete forms near such a plant might still use the leftover ash to make true cinder blocks. So: how can you tell the difference between a cinder block and a concrete block? Weight and strength. I spoke to dozens of people in the trade about this confusing topic and everyone agreed that true cinder blocks are much lighter than concrete block, and that true concrete is heavier, more durable and longer lasting. …Which might make you think that today's builders would only want concrete block, but that's not the case. If the building codes and structural needs of the job allow it, many builders prefer 'cinder block' because it's so much lighter. Real concrete blocks are onerously heavy, and lifting them gets old fast. So believe it or not, modern cinder block—which is made using volcanic pumice if there isn't a coal plant nearby—can actually command a higher price. Now, the question of leaching from these blocks is, as our listener states, endlessly debated. But the aggregate in any kind of block is bound up pretty tightly, so the main concern might more realistically be about the cement common to all these objects. Cement is made from lime, which is highly caustic and alkaline in its basic form. Objects made with cement have the potential to raise soil pH, especially in areas with acidic soils and/or lots of rain. One overwhelming piece of advice I found was that whatever you do, don't use any kind of block near acid-loving plants like blueberries. 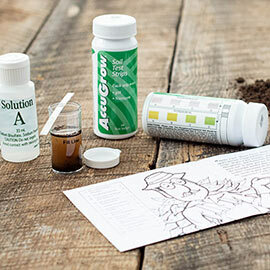 It could raise the pH of their soil up into levels unhealthy for those kinds of plants. So what can we tell this mother and daughter? If the block is new and heavy, it's concrete that was made with sand or gravel; not cinders. If it's old and light, the aggregate is probably 'cinders'—waste material from coal burning. 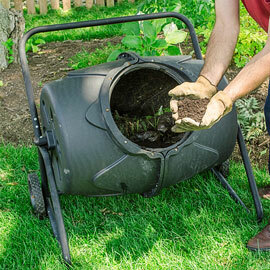 If it's new and light and you're buying it new, the seller should be able to tell you exactly what's in it—volcanic pumice or old-fashioned cinders. But the bottom line for me is that these blocks are ugly, and make the least attractive possible frames for raised beds. They may hold the soil in place, but it's always going to look like you're one step away from starting a collection of abandoned cars nearby.